Somerset, England – April 30, 2008 – Wyke Farms, the UK’s largest independent cheese producer and milk processor, today announced the availability of their award-winning half fat cheddar, Leskol, in the United States. 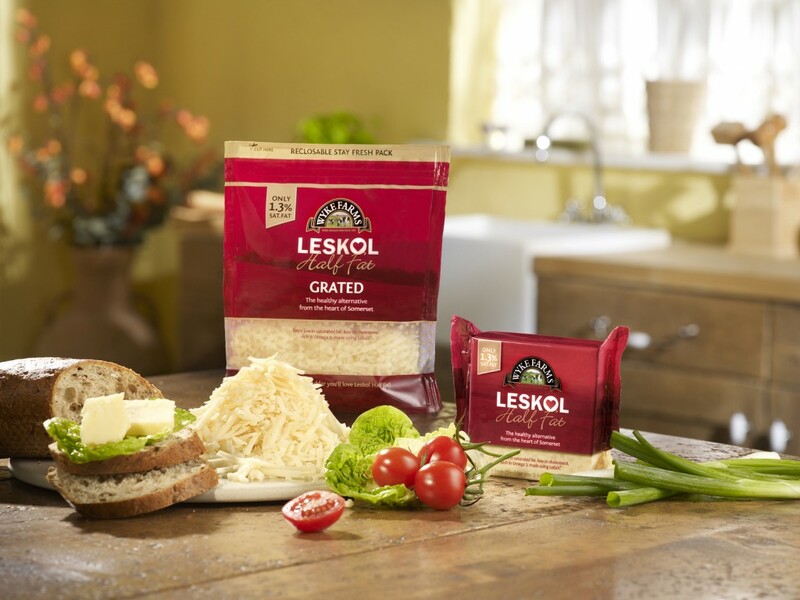 Unlike the other low fat cheese options on the market today, Leskol is finally what cheese connoisseurs have been waiting for – a full-bodied cheddar that boasts healthy qualities such as 90% less cholesterol, low sodium and very low saturated fat, but without sacrificing the sharp and tangy flavor we love most about mature British farmhouse cheddar. 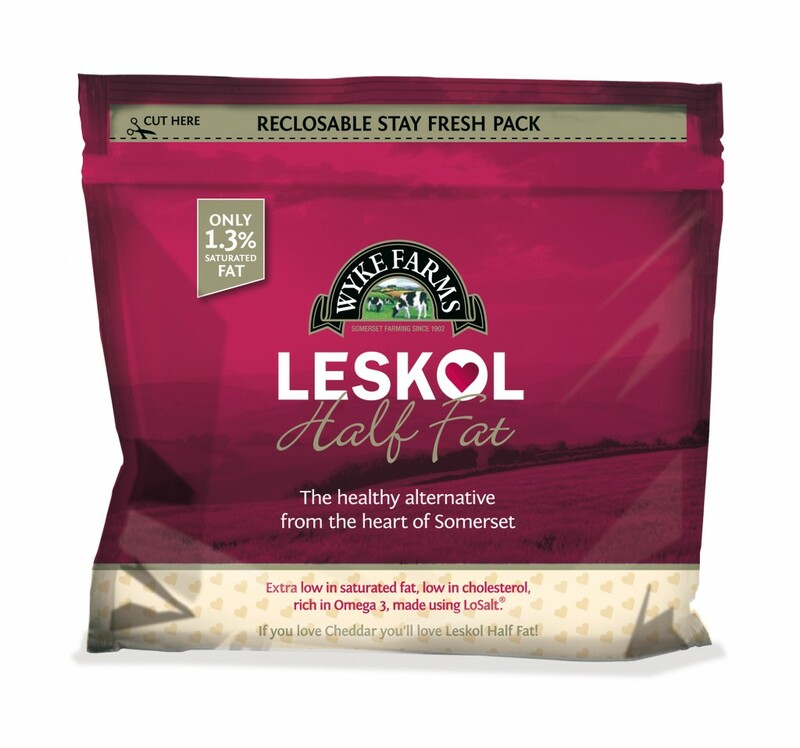 Produced by Wyke Farms, a family-run company based in the heart of the Somerset, cheddar-making region in England, Leskol is a smooth and creamy cheddar that looks, tastes, slices and cooks the same as any mature cheddar, but features one main difference: it contains only 1.3% saturated fat, approximately 90% less than other mature cheddars on the market. 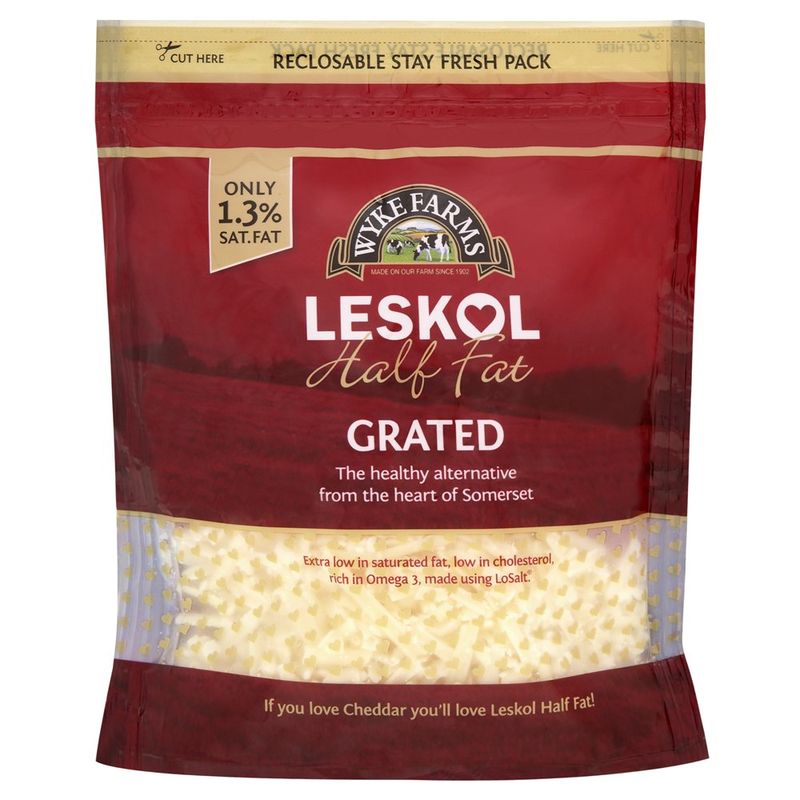 Naturally rich in protein and calcium and has added Omega 3 and Omega 6, Leskol Half fat Cheddar is an ideal family food that finally delivers delicious flavor in addition to a healthier lifestyle. The Clothier family has been producing farmhouse cheese and butter for more than 100 years, never straying from Grandma Ivy’s original family recipe. 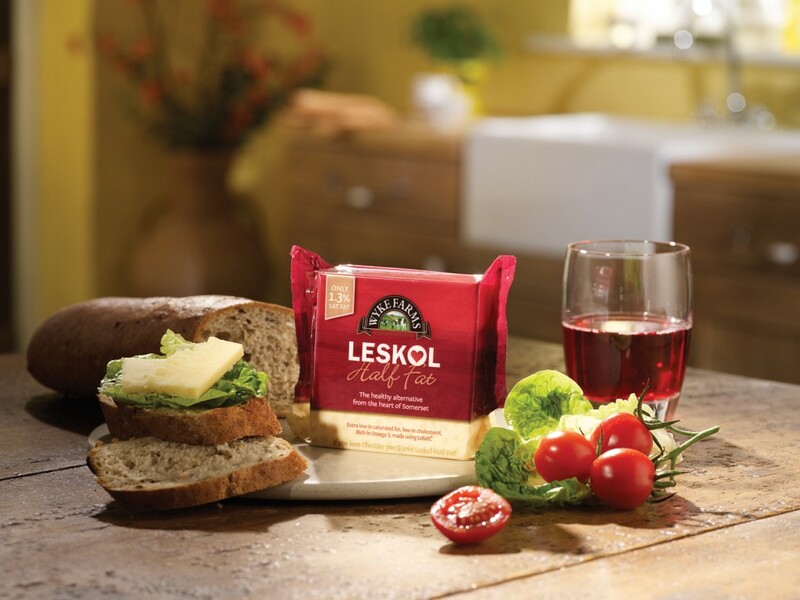 Leskol, the Gold winner at the recent International Cheese Awards, was developed five years ago by Wyke Farms after John Clothier, chairman and son of Ivy, was diagnosed with high cholesterol and ordered to change his diet. After spending two years refining the recipe, John’s two sons Richard and Tom Clothier, who now run the family cheese business, finally achieved the perfect combination of healthful and nutritious without sacrificing the smooth and creamy flavor of mature cheddar. “It’s rare to find quality cheese that’s low in fat but still high in flavor, and that’s exactly what we’ve developed with Leskol,” said Richard Clothier, third-generation family member & Managing Director, Wyke Farms. “It was a labor of love made for the family, by the family, and we’re thrilled to be able to share it with U.S. consumers seeking a healthier lifestyle in time for this spring/summer’s picnics, barbeques and get-togethers. Be sure to stop by and visit Wyke Farms and Leskol at this summer’s International Dairy Deli Bakery Association Show and Fancy Food Show events. In addition, visit www.leskol.com for information on Healthy Living as well as recipe ideas for how to cook with Leskol and a free downloadable cookbook.